After nine years of getting you the most Epic tales, LNG now brings you the Legend of Lord Vishnu’s Dashavatar. Dashavatar weaves together the fascinating stories of Rama, Krishna, Parshurama, Vamana, Narsimha and the tales of Vishnu in earlier avatars – Matsya, Kurma,Varaha. Dashavatar is an odyssey through time, showing the values of the old world matching the sensibilities of the modern one. These tales have a great influence on our life and culture, and hence we will give a new perception to these stories and tales of Lord Vishnu. We have been listening to the stories since childhood about the various incarnations of Vishnu, however have been unable to apply them in real life! Each of us can connect with these stories but never understood the underlying reason for it. And by this show, kids from the age of 1.5 years to teenagers of 19 years will demonstrate the that a new perception to look at anything is the key for next level thinking because that is where the great innovation lies. Come join us on 27th January 2018 from 3:00 pm onward for this amazing journey through time. Learn n’ Grow is organising a free never-like-before “Parenting” event in Surat. Children are born perfect, but somehow we lose the track through the journey of life. What we need to in fact achieve is the Perfection we all had as children. We often forget that all of us were children once not long ago. We have also forgotten the fact that our children think, desire, believe and play just like us. Children are nothing but our reflection. If you want to understand how right parenting can change your and children’s present/future. We invite you to our event. 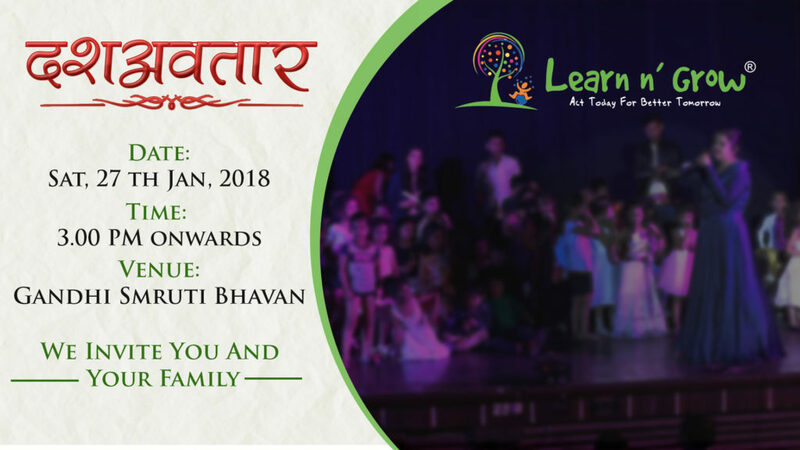 Its a self-funded Open/Free event organised by Learn n’ Grow family. Understanding parenting is in reality understanding oneself. Everything that you will witness in this event is based on scientific facts and theories.